The perfect vacation if you are a gold enthusiast would be panning for gold in and near northern California gold mines. Panning for gold can take you back to the romanticism of mining camps and the high energy of miners that received rich from gold strikes. Placer gold mining started with the California gold rush and was the foundation of the California gold mining industry. There are seven northern California gold mines that allow panning for gold and some of these mines are still in production today. 1. 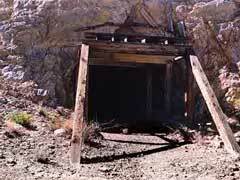 California is rich with gold mining history and placer finds. Travel to Jamestown, California near Yosemite National Park. You will find five different claims with provided equipment and instructions for panning. Guides will take you to public claims. Private claims in the area are protected. 2. Watch for posted claims and pan only at sites that allow the public to find gold. Auburn State Recreation Area will allow you to pan for gold, but you need to sign up at www.parks.ca.gov, provide a mining plan, and watch for posted signs. 3. In 1848 gold was discovered in the south fork of the American River. You can take lessons in panning for gold and there have been some incredible finds by amateur gold miners. 4. Gold panning near California gold mines include panning in Eldorado National Forest where professional claims are still in abundance. Watch for posted signs; no claim jumping allowed. 5. Gold mines for sale in California include claims in Amador County that is one of the most productive of the Mother Lode counties. Over 6,500,000 ounces of placer gold has been mined from this area and the deep gold mines of The Kennedy and Argonaut are in this area. 6. You can pan for gold at Big Indian Creek which is a dredging and drift operation concern that operated between 1850 and 1950. 7. Consumnes River still handles placer operations and allows panning with supervision. California gold mines do provide panning for fun, but you can increase your wealth by investing and purchasing the best gold mining stocks in California. Follow the market by listing with Tocqueville Gold whose assets are primarily in gold. These stocks also provide investments in gold mining in Arizona, Nevada and Alaska. Right now the precious metals fund from Tocqueville Gold returns 71.82 percent in investment value.